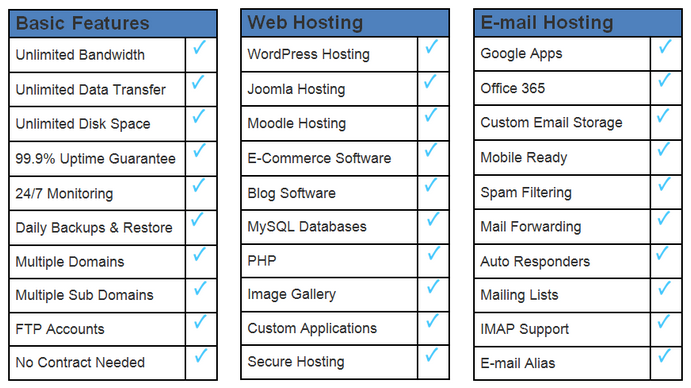 We provide world-class web and domain hosting solutions to guarantee 100% customer satisfaction. We will give your company the reliable and flexible service you need so that your website is rapidly deployed, available 365 days a year, with fast response speed. We monitor and manage your server(s) making sure everything is running smoothly and efficiently. We safeguard your data through automated backups, server and firewall monitoring. Our physical servers are managed and secured in safe and reliable data centers. Suitable for: Businesses that don’t have the technical expertise to install, set up, and manage a server. This is a hassle free option for clients who don’t keep an IT staff in-house. When you work with NPV, we will analyze your technology needs and provide all the services you need to have a well maintained and fully functional website. We can either work on a server provided by the client, or set up Cloud Hosting for you. Cloud Hosting refers to a virtual server that is run on the cloud. Cloud servers utilize resources more efficiently and help to free up your in-house IT network for other tasks. Cloud servers are also an economical solution for small and mid size businesses. Another advantage of cloud servers is that they can be easily scaled as your business needs change. As your business grows, the cloud server will keep pace with your new needs. Additionally, you may also be interested in our Web Development services.